Hereafter is an Exotic special sniper rifle. This weapon can be sold by Xûr. The good: Blind enemies, high Range. The bad: Perfectionist requires kills. Crouching increases scope zoom and makes it easier to aim under fire. Magazine is refunded if all shots fired are precision kills. Precision kills with this weapon have the chance to cause a bright flash that can blind nearby enemies. 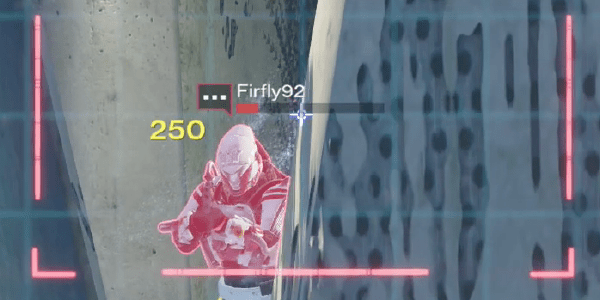 In Destiny, a good Sniper Rifle is worth its weight in Strange Coins. The ability to dispatch the toughest enemies from a distance is essential. A Sniper Rifle needs to have the Impact to get the job done, but the perks around it should accent its strengths while masking its weaknesses. Hereafter is in a class all its own. Dramatic as this sounds, it’s the truth; it has a base Impact and RoF that falls somewhere between the Patience & Time and LDR 5001. For the most part, these Snipers are designed to very quickly take down a single target, albeit at the cost of a full magazine. They lack the necessary Impact to one-shot higher level Majors, but make up for it with some appreciable burst damage. Because of their rate of fire, they need a fair amount of stability for the reticle bounce to not be too wild. They also do much better with 5 or 6 rounds in the magazine, as increasingly rare as this is becoming. Unfortunately, Bungie’s intentional design decisions seem to be counter-intuitively steering all Snipers, regardless of damage, into 4 round territory, where they can’t gain too much of an edge in PvP. So, a Sniper like Hereafter will have to have other attractive qualities to be worth using over a competitor. Does it? Let’s find out. Other than its RoF/Impact profile, Hereafter‘s stats are basically average. Its Stability of 49 is a little perplexing, not quite in the ranges at which follow-up shots can be fired reliably at the max RoF. The Reload Speed is actually kind of low, and the Speed Reload perk barely helps. Thankfully, it has a heaping helping of Range at 81, guaranteeing that damage dropoff is not a concern, and that you could afford to give up a little extra if it meant more Stability/Reload Speed. Minimizing the downtime between reloading and getting the reticle back on target is increasingly important; a pair of Sniper Rifle Reload gauntlets would go a long way. The final stat we’re concerned with on Snipers is Aim Assistance, and Hereafter delivers in this category. With a base value in the upper ranges, Guardians can expect a little bit of scope stickiness and magnetism to make those headshots easier. Hereafter comes equipped with a mid-low zoom Scope featuring a square box highlighting your reticle, as well as threat detection in the form of a mild red highlight when an enemy enters this field. You’re going to want to go with Linear Compensator or Aggressive Ballistics to accompany this setup. The first one is best if you’re dying to control that recoil, while the latter gives you just a little extra punch on your shots. Smooth Ballistics buffs the one stat that already has plenty of at the cost of the one it needs most, and is not preferred this reason. 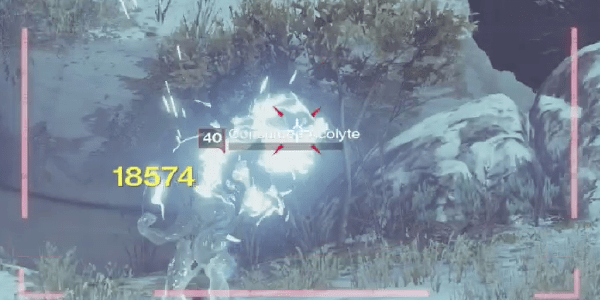 “The Hereafter” perk offers a cool bonus that no other Sniper Rifle in Destiny has. When you crouch, you’re given increased zoom, and your reticle flinch will be reduced to compensate. With its natural low zoom factor and high base Range, this perk is a smart pairing to give you a little bit of versatility in how your fights at range shake up. Unfortunately, unlike variable zoom scopes in other games, Hereafter‘s requires you to shift your aim upwards; if you have your reticle zeroed in, it’s going to naturally dip when you crouch. For this reason, it’s not an easy perk to take advantage of in the moment, and suits the traditional sharpshooter who takes his time to pick his shots. As it turns out, this isn’t such a bad thing. Hereafter‘s first distinct perk, Perfectionist, refunds an entire magazine without the need to reload, providing that every single shot in the magazine is a headshot kill. You have all the time in the world to get this done, and can even switch weapons in between shots. While it’s undeniably useful, it sort of forces Hereafter into a role that you might otherwise not use it for: add disposal. As Hereafter lacks the Impact of Stillpiercer, the latter is able to use this perk more organically. If you’re set on making use of Perfectionist, you’ll likely be saving your shots for red bar enemies to ensure you can get the OSOK. In doing so, you may be ignoring yellow bar Majors or forsaking a Primary that could just as easily get the job done. Needless to say, Perfectionist rewards those who have unerring precision and grace under pressure. The middle column offers a helpful suite of perks, the first being Snapshot, which is probably your best option for PvP. Your ADS time, naturally a bit on the lower end, is supercharged to be nearly instant. For those sniping fanatics who practice centering their aim before even bothering to ADS, this perk is a standard must for a viable PvP Sniper Rifle. In PvE, it synergizes well with an opportunistic Perfectionist playstyle: pop a head, switch back to your primary for a few bursts, quickly switch and pop another one. Injection Mold sacrifices some of Hereafter‘s 80 base Range for a noticeable infusion of Stability. While Snipers are a little more prone to damage dropoff after 2.0, Hereafter will still be doing full damage from modest ranges, so it’s a fine trade-off in more cramped environments. Speed Reload’s probably not worth it, buffing a stat that requires more than just a green sliver to be a standout. The final Exotic Perk, Blinding Light, causes precision kills to very frequently detonate a flashbang-like effect on nearby enemies. 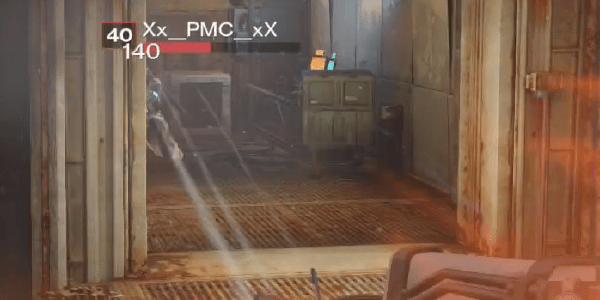 Upon a precision kill, a small flare will appear, bursting after a short time to disorient nearby enemies for about 7 seconds in PvE, and 3 seconds in PvP. It functions like a Flashbang Grenade or Saint-14’s Starless Night. This perk has excellent Synergy with Perfectionist, causing mobile enemies to walk around harmlessly and make them ripe for easy follow-up kills. In PvP, while the effect doesn’t last as long, it can soften a group of enemies for a coordinated charge from a fireteam. We’ll elaborate in the next couple of sections. Hereafter is not your ideal PvE Sniper Rifle. It doesn’t put up the big numbers like Black Spindle, and doesn’t have the best RoF/Impact profile like the 1000 Yard Stare. In spite of this, it’s actually still a pretty solid PvE gun. Fighting to overcome its own pulled punches and base 4 Magazine Size, Perfectionist and Blinding Light are a great combo for setting ’em up and knocking ’em down. Unfortunately, setting up anything with a non-Arc shield is going to put a stop to your Perfectionist fun. This is okay; you should be prepared and willing to pour on the damage onto a single target when necessary. But if you insist on using Hereafter for boss battles, you’re going to be disappointed. This is exacerbated by the simple fact that Hereafter is an Exotic, and consumes an Exotic slot. 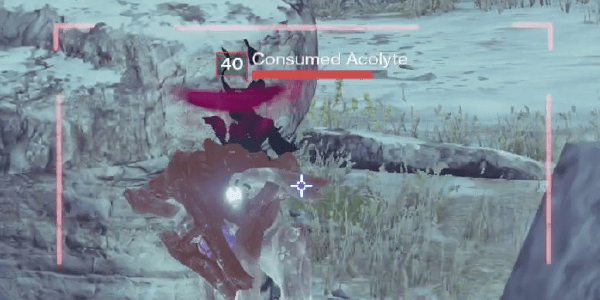 You won’t be able to use Touch of Malice, Red Death, or any of the Exotic Swords while Hereafter is equipped. For this reason, this Exotic sniper rifle is better for sniping “in the wild” then in Nightfalls or Raids. It’s not a min/max monster; it’s simply a really fun Sniper Rifle that is scaled to deal with crowds, while fading in power as it’s subjected to higher level foes. Don’t try to force it into the harder stuff, and you’ll be very satisfied with Hereafter. It’s difficult these days to assess the worth of a Sniper Rifle in PvP. Bungie has gone out of their way to standardize the playing field statistically, siphoning off base Stability and limiting a solid 90% of new rifles to 4 rounds in the magazine. Because of this, the actual feel of the gun is so much more important than before. It’s a two shot body kill, dealing 350 damage on its lethal precision hits. This number is just shy of the required value to snipe a Guardian off of a resurrection, as demonstrated in Holtzmann’s video. This is a bit of a bummer for Elimination, Skirmish, and Salvage playlists, where “rez snipes” are essential to battering teams that rely on quick revives. However, Hereafter has no need to fret these numbers in Rift, Zone Control, Control, Mayhem, or Clash, and subsequently is a much more compelling choice. 350 is the number you’ll see without the increased health from overshield. 250 when they have an overshield – just under the amount needed to kill them. With Snapshot and the higher base Aim Assistance, Hereafter looks to perform quite well in standard Crucible game types. Its scope is naturally open and allows you to take in a fair portion of the environment surrounding your targets. “The Hereafter” perk can help you land a follow-up body shot in a pinch, too – even when being shaken up by Auto Rifle fire. As for Blinding Light? As Holtzmann succinctly puts it, Hereafter feels like the lone wolf Sniper Rifle for the player who still wants to help his team. Will Blinding Light score you a whole bunch of kills? No. But one clutch Headshot can mean softening the defenses of the enemy team in objective gameplay, giving yours a few crucial seconds to seize the opening. It’s not a stretch to think that Hereafter could create some very unique advantages for very well-coordinated Trials fireteams. The bottom line is the Hereafter handles nicely, with a workable zoom/reticle combination, and Snapshot/The Hereafter/Blinding Light to push it above some of the Legendary options. Its RoF/Impact allows for some quick consecutive headshots in very skilled hands, even if it can’t put a rez’d Guardian right back down again. With good team composition, having a Hereafter in the mix can be just the right ingredient to pull out a win. Hereafter is yet another well-conceived Exotic from The Taken King. While it doesn’t jump out at you like Touch of Malice, it’s the detailed design that sets it apart. Its scope resembles an on-board computer, with a somewhat humorously conspicuous blinking red signal that sits atop it. In fact, Hereafter looks strikingly similar to the Sniper Rifle from Bungie’s Halo series, right down to the improvised variable zoom. The rest of the design is sleek, with just a touch of that retro-futurism. And the sound is even better. Each round fired has a powerful echoing blast, and you can detect the faintest notes of a distant siren winding down. You might just park in the Cosmodrome and empty a magazine just to enjoy the sound design. 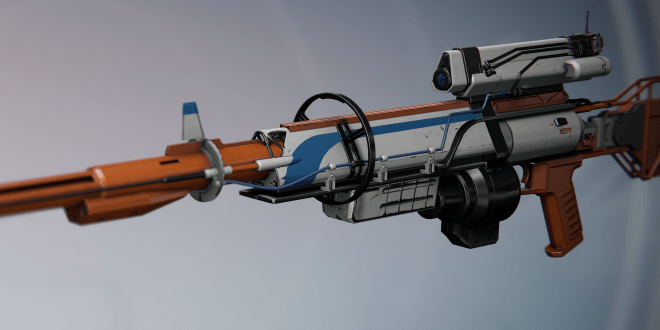 Hereafter carries the torch of the Exotic Sniper admirably. While it isn’t quite on Ice Breaker’s level, it has a few tricks of its own, including the punishing Perfectionist, eponymous Hereafter perk, and Blinding Light to leave your enemies reeling. In PvE, it’s right at home in mid-level content such as Vanguard Strikes and the Daily Heroic, dealing just enough damage to take advantage of Perfectionist whenever its needed. It won’t be the best option for King’s Fall, but in PvP, it’s top-tier and definitely a great choice. Hereafter requires some serious precision to reach its potential, but in the hands of a real deadeye, it’ll truly get its chance to shine bright. For PvP this weapon earns a 9.1/10 and for PvE a 8.7/10.